Mike has been used a professional consultant for legal cases including work with the Holland & Muirden lawfirm in the Akron, Ohio area. The following are some of the certifications held by us and/or organizations we are associated with. If you have a shelter with which you would like Mike to assist with, submit your details on our Contact page.Terms & Conditions apply. We acknowledge the work of the brave men and women out there that volunteer their time and lives to the assistance of animals. In honour of their dedication, Mike offers his pro bono time in assisting charitiess. 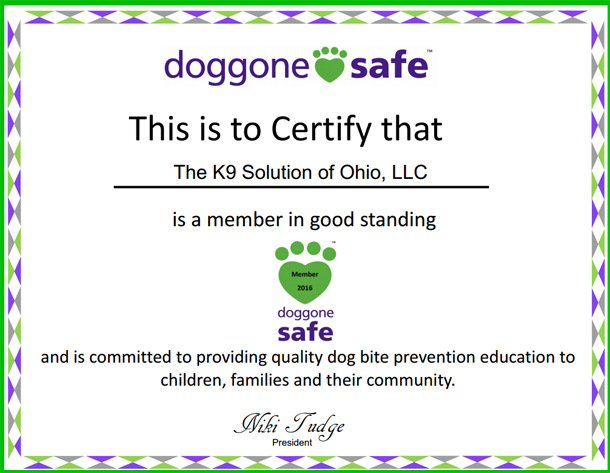 K9 Solutions can fix all of your pets' needs.